Recap: Disney and EA have been partners in bringing Star Wars games to market since inking a 10-year exclusivity deal in 2013. Since then, EA has produced the successful, if occasionally controversial, Battlefront I and II. When asked during an earnings call, Disney chief Bob Iger praised their relationship with EA and spoke in support of Disney's decision to license their franchises instead of developing games in-house. 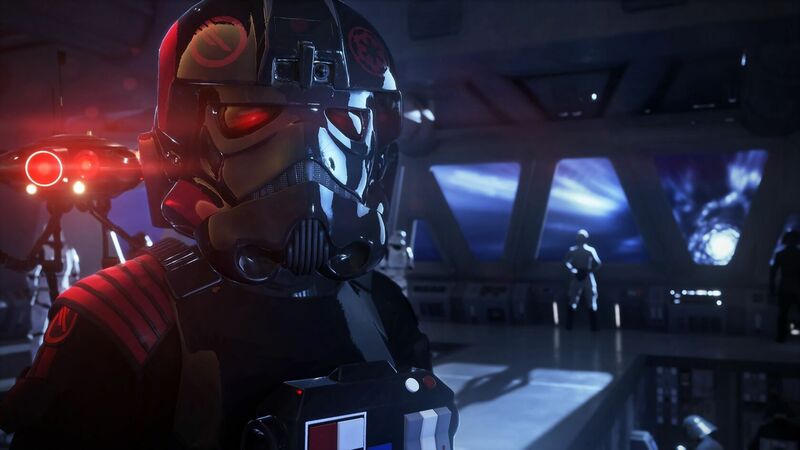 In spite of the recent turmoil surrounding the release of Star Wars: Battlefront II and the PR fallout endured by Electronic Arts, Disney CEO Bob Iger said on a recent earnings call that the relationship between the two companies is "good." "We've had good relationships with some of those we're licensing to, notably EA, and the relationship on the Star Wars properties, and we're probably going to continue to stay on that side of the business and put our capital elsewhere," Iger said. In the past, Disney developed and published games like Epic Mickey and Disney Infinity in-house through the now-defunct Disney Interactive Studios. Nowadays, Disney licenses its franchises to outside studios instead, with EA being their largest partner. In 2013, Disney signed a 10-year deal with EA that gave EA exclusive rights to develop Star Wars video games. Iger discussed the reasoning to shift from internal development to a licensing model, noting that Disney's history of internal game development has been sub-par. "Over the years we've tried our hand in self-publishing, we've bought companies, we've sold companies, we've bought developers, we've closed developers," Iger said on the earnings call. "We've found over the years that we haven't been particularly good at the self-publishing side, but we've been great at the licensing side which obviously doesn't require that much allocation of capital." Since 2013, EA has released two Star Wars console games, Battlefront I and II. Both games have been commercially successful, with the first Battlefront shipping more than 13 million copies during its launch quarter, and the sequel shipping 9 million copies during the same time frame. Battlefront II, however, was marred by significant outrage from gamers in response to the widespread use of microtransactions, some of which gave deep-pocketed players a gameplay advantage, and others that unlocked various aspects of the game. It was reported at the time that it would take 4,528 hours of gameplay or $2,100 in real money to unlock the full game. In response, EA removed microtransactions from the game temporarily, bringing back less disruptive loot boxes a few months later. These issues have not slowed down the development of new titles. Most recently, EA-owned studio and Titanfall developer Respawn announced Jedi: Fallen Order, expected to be released during the 2019 holiday season. Assuming the deal hasn't changed, we can expect EA and Disney's partnership on Star Wars releases to run through 2023.